How To make a deferred message. This guide will show you how to send a deferred message on your VentriloPro Server. 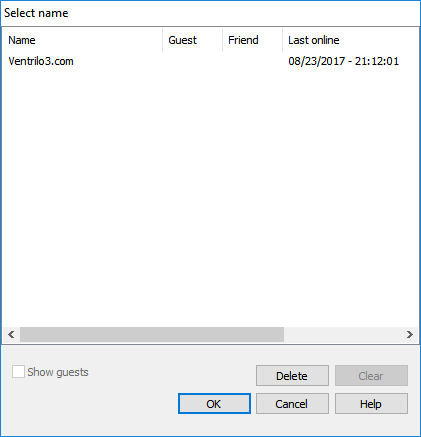 Right click in the white area of the VentriloPro client and click on "Users" > "Deferred Message...". In this screen, you can select any user you have seen on the server before and click "Ok". 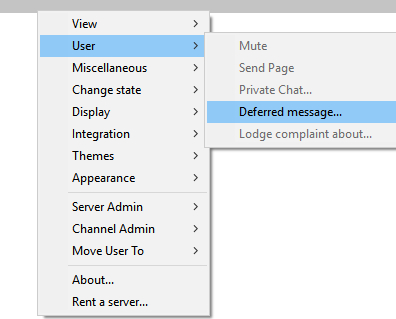 This will open the Deferred Message Window for that User. 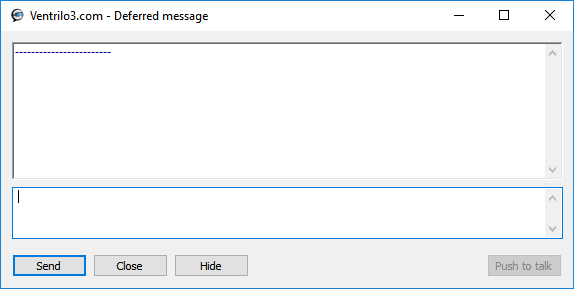 In the Deferred Message Window, you can send messages that will be received the next time the user connects to the server. They will be notified in a PopUp on Connection.